Choose/Change the color in "Mark" search! 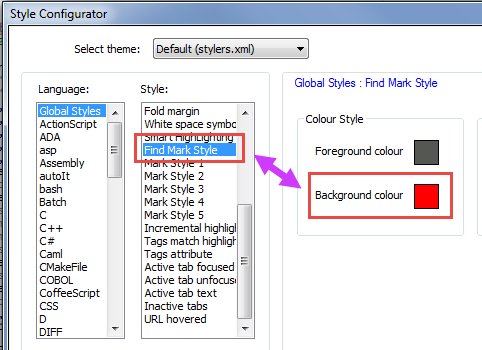 It will be more helpful if we would be able to choose different color when we try marking a specific text rather than red color, and apically with regex search. Yes, sure we can change the Marking color, but its not what I’m trying to ask. 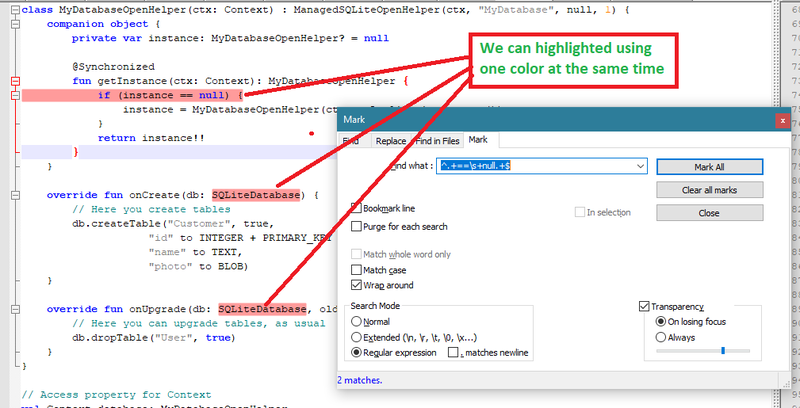 And have different color highlighted/Marked in our text at the same time. Ah, that wasn’t clear to me from your original post. See FAQ Desk: Feature Request.